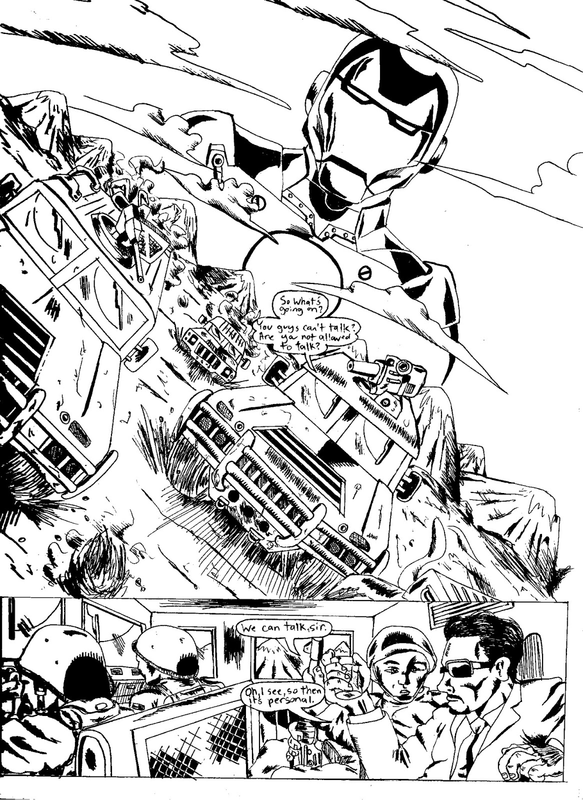 In honor of "Iron Man 3" being released on Blu Ray the other week, I am showing off my comic book adaptation of the first "Iron Man" movie. I will make some commentary on every page that I post. This being page one meant that it is not as polished compared to my other later pages. I actually went back and redid this page at least three time: first pencils, then inking, and finally filling in the areas with blocks of blacks and tightening up the ink job.